A software upgrade for Boeing’s grounded 737 MAX 8 planes, which were involved in two deadly crashes, is ready to be reviewed by the US Federal Aviation Administration (FAA), Boeing said on Saturday. The company added that the upgrade was designed to prevent an aerodynamic stall if sensors detect that an aircraft’s nose is pointed too high. The software fix will allow the plane’s control systems to rely on data from more than one sensor before it automatically pushes the plane's nose lower. The update comes as Allied Pilots Association (APA) said that it has been in talks with Boeing and the FAA to get the upgraded airplanes in the air again as soon as possible. “Right now we're in wait-and-see mode to see what Boeing comes up with. We're hopeful, but at the same time the process can't be rushed,” Captain Jason Goldberg, spokesman for the APA, pointed out. Earlier, Ethiopian Airlines rejected the Washington Post's allegations that its pilots had complained to the FAA about "flawed training programs" and poor safety procedures four years ahead of the Ethiopian Airlines' Boeing 737 MAX 8 aircraft crash on 10 March which killed all 157 people on board. 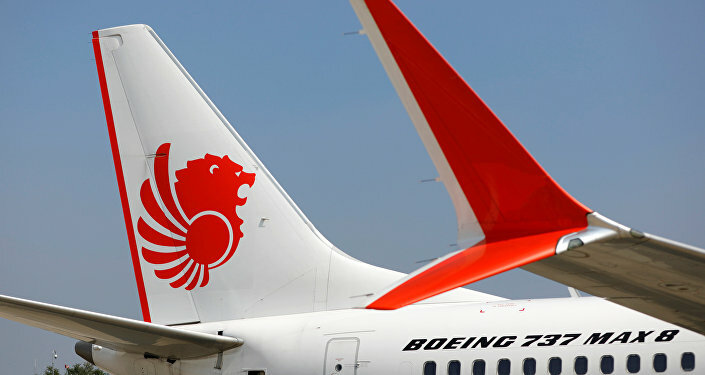 The tragedy was similar to one in Indonesia in October 2018, when a Lion Air Boeing MAX 8 crashed, killing 189. Although the cause of the crashes has not been officially determined yet, reports have pointed to troubles in the aircraft's computer-controlled systems. In the wake of the March crash, aviation authorities and airlines around the world have either grounded their 737 MAX 8 series aircraft or closed their airspace to them.